Emergency procedures – including the evacuation plan, the safest exit route, and what to do in the event of a fire. Location of the First Aid supplies. How to use chemicals safely if applicable. Leave their workspace clean and tidy after use. Remove obstacles that could cause trips or falls. Do not block paths or exits, or obscure fire equipment. Ensure that their vehicle (if used for their work tasks) is safe and roadworthy. Know how to lift and carry objects safely, and ask for assistance if moving an object is too difficult. Comply with smoking bans and total fire bans. Keep personal belongings safe and secure. Report any hazards they encounter, such as asbestos, or damaged electrical cords, outlets or equipment. In some cases volunteers may be required to provide their own equipment for work on the church property, for example lawn mowers, chainsaws and garden tools. It’s important that such equipment is in safe working order, and that the volunteer is competent in its use. Personal protective equipment – such as safety vests and goggles – should be worn where required. If working outside it is advisable to wear sunscreen, sunglasses and hats for sun protection, especially during the warmer months of the year. On really hot days it is not advisable to work outside during the hottest part of the day, but to restrict it to early morning and later in the day. It’s also important to keep hydrated at all times. Volunteers required to work alone should assess the risks involved and take the necessary precautions. The same applies for hot work, working at heights, in confined spaces or where asbestos is present. 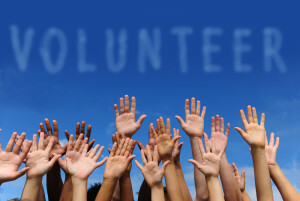 A mini induction course for volunteers can be accessed at the CCI website training page. This course covers the issues listed above in greater detail. For more information, see our website articles on volunteers’ work health and safety here, and here. A complete guide for volunteers can also be accessed and printed from the SafeWork Australia website.